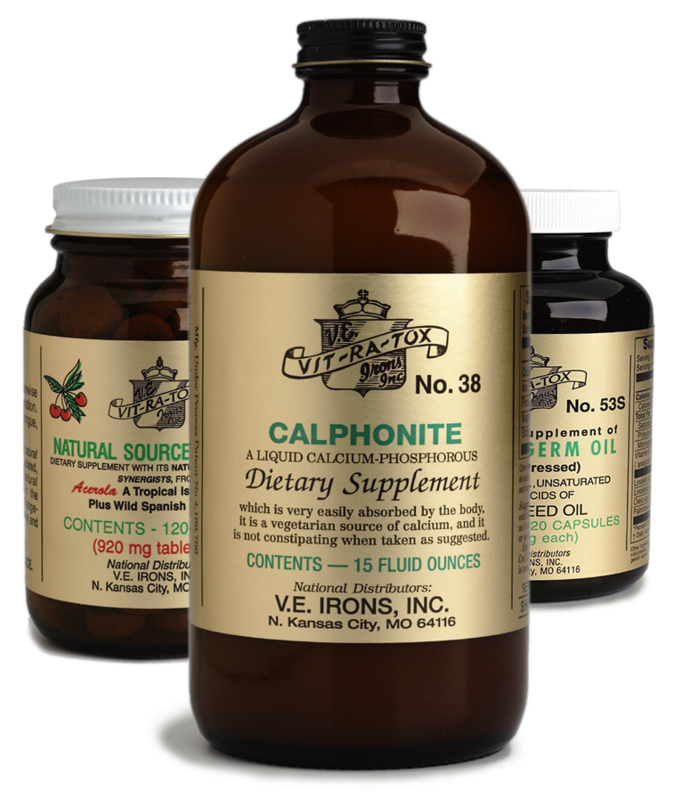 This product is a key component included in our 7-Day Cleansing kit. Vitamin C plays an essential role in the formation of collagen, a connective tissue that is required for normal maintenance, growth, repair, and healing of living tissues. Vitamin C also functions as an antioxidant, and protects other antioxidants such as selenoproteins, glutathione, and vitamin E from becoming oxidized (inactivated) in the body. * Since vitamin C is constantly being utilized, it should be taken in small repeated doses throughout the day. 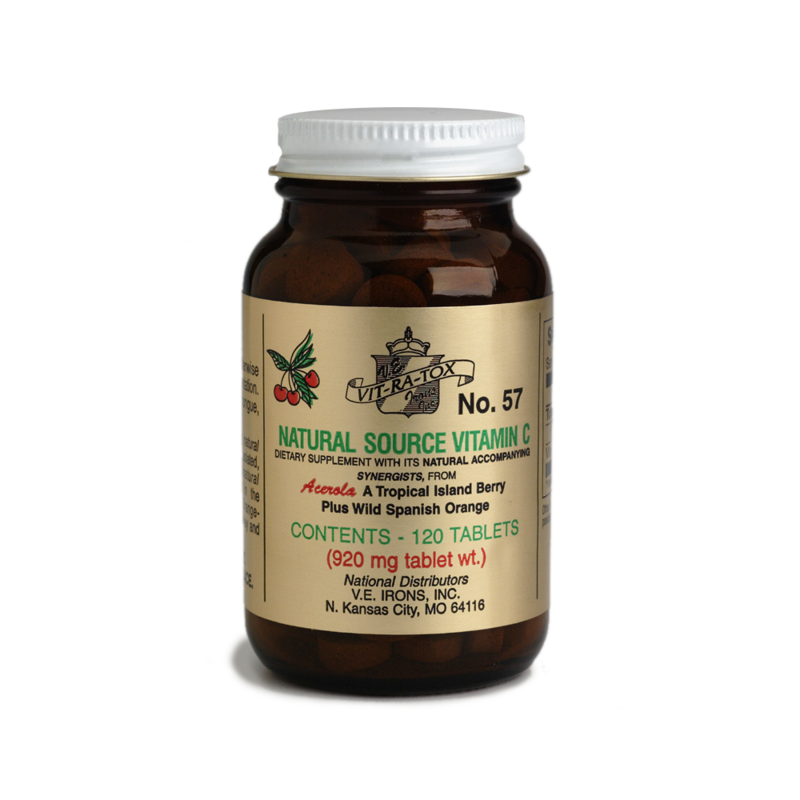 VIT-RA-TOX #57 Natural Source Vitamin C chewable tablets are ideal for this purpose, providing easy and rapid absorption of the natural vitamin C complex. Because acerola berry and wild Spanish orange are naturally sour and bitter, we add powdered blackstrap molasses and honey for a tart but pleasant taste. The Acerola Cherry (officially called a berry) is a red cherry-like tropical fruit grown on berry-like bushes. It is considered one of the best and most potent sources of natural vitamin C, with more ascorbic acid per ounce of juice than most fruits. Wild Spanish Orange is another very potent, natural source of the vitamin C complex. 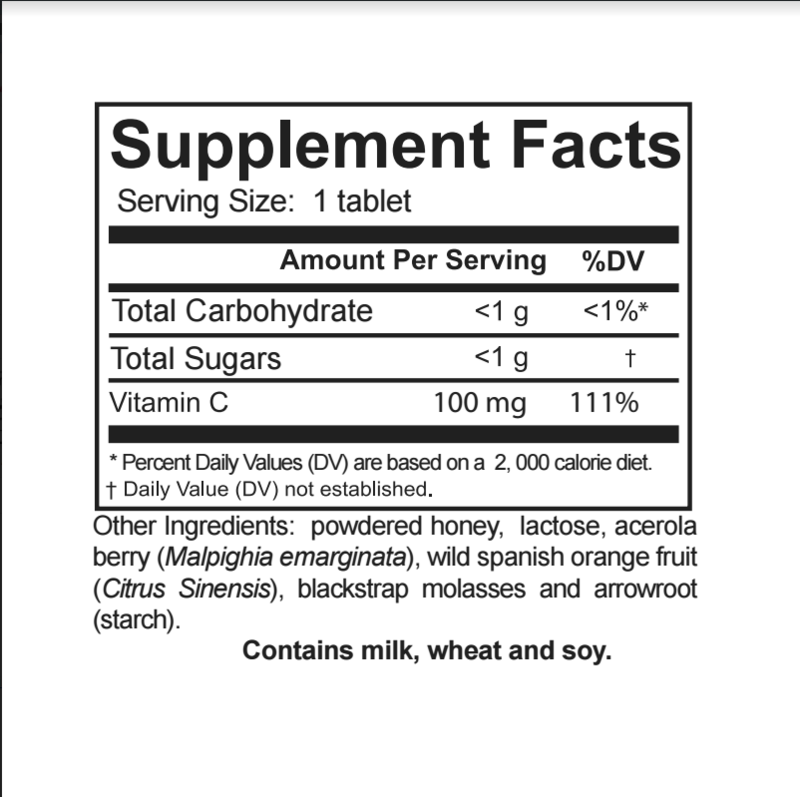 These tablets are made from fruit sources in their natural state, with all their natural accompanying synergists. Many eminent nutritionists, physicians, and scientists (including the late Linus Pauling) recommend that large amounts of vitamin C be added to the ordinary diet. Vitamin C can help prevent infection. (The U.S. Department of Agriculture has called vitamin C an “anti-infection vitamin.”)* Vitamin C is also a powerful antioxidant that can protect cells from damage by free radicals. In the absence of sufficient vitamin C, blood capillaries become fragile and are prone to rupture. The U.S. Recommended Daily Allowance for adult males is 90 mg, but much higher amounts may be desirable. Vitamin C is water-soluble so all excess vitamin C is excreted in the urine. It is interesting to note that many people experience burning when they urinate after taking large doses (1g or more) of ascorbic acid. We´ve had no such experiences with our natural product. 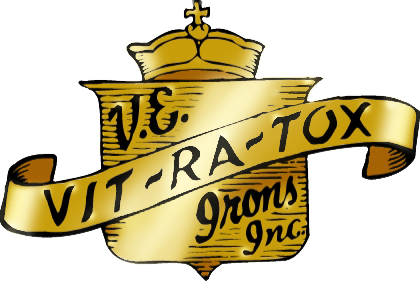 VIT-RA-TOX #57 Natural Source Vitamin C is packaged in a recyclable amber glass bottle that ensures potency and freshness – 120 tablets.